Nuclear Matters issued a statement on Wednesday praising the U.S. Nuclear Regulatory Commission’s (NRC) decision to extend the license of the Davis-Besse Nuclear Power Station in Oak Harbor, Ohio, by 20 years. 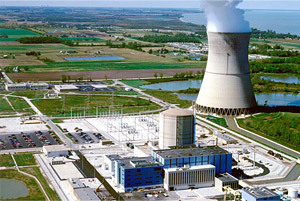 The Nuclear Energy Institute (NEI) said the facility generates approximately $1.1 billion per year on average in economic activity in Ohio, with approximately $30 billion expected to be generated by the plant through its extended operational lifespan, which now runs to 2037. The NRC said in its announcement of the renewal that the Davis-Besse facility is the 81st facility operating in the U.S. with an extended license. Currently, there are 13 renewal applications pending with the agency. Nuclear Matters is an advocacy group for the U.S. nuclear power industry.